Turmeric For Asthma and Allergies: Does It Really Help? We often overlook the importance of the remedies to treat various health problems which are always present in our home. Turmeric is one such powerful ingredient which is believed to be the safest therapies to cure and heal various health issues. From our historic times, turmeric have played a significant role in curing multiple respiratory problems such as cough, cold, asthma. Not only it helps in various kinds of lungs/bronchial disorders and seasonal allergies but also it helps in healing various skin diseases as well. The major one which we are going to talk here includes asthma, allergies and other respiratory disorders. How To Use Turmeric To Cure Asthma Naturally? Precautions and Side Effects: How Safe It Is To Take Turmeric Daily? The benefits of taking turmeric for lungs are immense because; it has potent anti-inflammatory, anti-bacterial, anti-tumor and antioxidant properties. These all properties found in turmeric are due to the chemical curcumin contained within it. Below we discuss in detail about 5 ways in which turmeric acts as a healing herb for asthma. When a person is experiencing asthmatic inflammation, there develops swelling of lungs and breathing obstructions. Due to its anti-inflammatory properties, daily in-take of turmeric can drastically reduce asthmatic inflammation; as it helps in the process of blood cell dilution offering free airflow in the airways. Along with, it also helps in soothing muscle spasms completely relieving you from the inflammation. Asthma produces nitric oxide which results in the inflammation in the airways. A person experiencing asthma therefore experiences serious breathing problems. Due to its anti-oxidant properties, taking pepper with turmeric in the said proportion can help cure the inflammation of the airways- by completely diminishing the nitric oxide production which causes obstruction while breathing. Along with several curing abilities, Turmeric has anti-microbial properties that give protection against bacteria, fungi, and various other types of viruses. Furthermore; it prevents the bacteria growth which eliminates infection in the upper respiratory tract. Turmeric is therefore extremely effective in providing protection against host of bacterial infections and attacks, causing asthma obstructions to slow down. Having lower immune cell activity stimulates the responses that trigger asthma attacks frequently. Turmeric has immunomodulatory effect on asthma as it releases mast cells named “Histamine” hence; reducing asthmatic allergic reactions. When asthmatic allergy occurs, it releases T-lymphocytes from the immune system that triggers the further irritation and inflammation. Daily intake of turmeric not only reduces but completely stops the release of such infectious elements further aiding in curing the asthma problem. Searching for different ways to intake turmeric to cure asthma, copd and allergy problems? Below mentioned are the list of remedies where using turmeric with varied combination of ingredients can surely help get rid from the problem. –> Add 1tbsp of turmeric powder to 4 cups of water and heat it on a low flame for about 12 minutes. For enhanced taste you can add lemon or honey or both to the turmeric tea. After the initial boil, strain the tea. Make turmeric tea as your daily drinking habit to control asthma and allergies of lungs. –> Mix 1 tsp fresh turmeric root powder and 2 tsp of honey well till it makes a smooth paste. 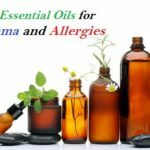 Consume this paste daily to get rid of asthma problems. –> To eliminate Phlegm, mix banana ash, turmeric powder and barley powder in equal proportion with honey. This will make a thick paste, which you can prefer having on the daily basis. –> To relieve the congestion of bronchi, mix pinch of salt, 1 tbsp turmeric in a hot water and drink this mixture on a daily basis. –>Many times fresh turmeric golden paste for breathing problems and inflammation is also recommended which is prepared by combining turmeric, black pepper and few healthy fats. Besides above common ways of taking turmeric, there are few other ways discussed below. Turmeric tinctures or drops are many times also recommended for patients suffering from breathing and respiratory issues. These are very beneficial for asthmatics as it packs maximum potency in a small dose. As the usage of these tinctures is very less common, you should talk to your doctor before trying this out. According to your condition and severity of the problem, your doctor may recommend taking 10-30 drops 2-3 times in a day. The good part being, this can be also added to your juices, smoothies or tea. Turmeric capsules for asthma are also easily available online at stores such as Amazon. You can get these turmeric supplements for asthma after consulting with your doctor to include in your daily diet in an easy way. Consumer reviews online reveal that people when consumed turmeric with ginger capsules have helped them in controlling asthma attacks significantly. These can be therefore taken for in small doses for few weeks to see positive results. Health care professionals recommend taking not more than 300-400mg of turmeric for 2-3 times in a day. The dosage should not be increased above this without the consultation of your doctor. Turmeric in the form of nasal sprays and essential oils are mos commonly used for people suffering from allergic rhinitis and sinusitis. In case you are suffering from sinus with asthma you can use turmeric sinus rinse or nasal sprays along with few organic essential oils. These can surely help in providing you great relief. 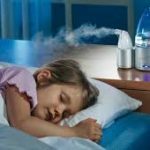 Turmeric for sinus congestion and asthma problems can also be taken by using neti pot steam inhalation method. Neti pots for sinus infections is one of the best ways of cleansing and rinsing your sinus/nasal passage. Neti pot in this technique is used to pour the turmeric/salt solution directly into the congested nostrils. This helps to clear up the sinuses of mucous blockage in an easy way. It is good to know that all the above mentioned turmeric remedies are natural, cost effective and safe to cure your asthma and lung problems. However; it is important to have a small test (by consuming it in very small quantity) to check how your body reacts to the turmeric or curcumin remedies. Surely; being a harmless home remedy it is less likely to have any side effects. However for the sake of precautionary measures, one requires to be careful with the dosage and the time length for which one should consume it. Although turmeric and curcumin supplement capsules acts as a good non-toxic alternative to NSAIDs and anti-arthritic drugs, but when taken in excess for long time can cause severe side effects in patients. Taking turmeric for asthma coughing can also be dangerous when taken on an empty stomach. Studies showed that turmeric for asthma attack, taken as a spice or natural tea (with your diet) is much safer than as compared to turmeric in capsules form. However if you want to take it as supplements, do take them only after the recommendation of your doctor about the duration and dosage. Ensure that you talk to your doctor about any drugs you are already taking (if any) for your other health conditions so as to avoid any of its possible drug interactions with turmeric and curcumin. Also make sure that you buy only top brands and high quality supplements from the reputed store so as to avoid any side effects and complications.